The World Cancer Day 2019 was observed across the world on February 4, 2019 with an aim to unite the world’s population in the fight against cancer. The Union Ministry of Road Transport and Highways will be launching the 30th National Road Safety Week on February 4, 2019 with a host of initiatives planned for generating awareness and sensitising people about safe road usage. The National Science Day 2019 was observed across India on February 28, 2019 to mark the discovery of the Raman Effect by Indian physicist ChandrasekharaVenkata Raman (CV Raman). The Union Ministry of Housing and Urban Affairs on February 8, 2019 instituted the ‘PMAY (U) awards for Implementation and Innovation’ under the Pradhan MantriAwasYojana (Urban) to reward the “Top Performers” in different categories and attain the goal of ‘Housing for All’ in a sustained manner. President Ram NathKovind on February 26, 2019 conferred the Gandhi Peace Prize for the years 2015, 2016, 2017 and 2018 at a function in RashtrapatiBhavan, New Delhi. The award ceremony saw the presence of Prime Minister NarendraModi. For 2015, Vivekananda Kendra, Kanyakumari was given the award for its contribution in Rural Development, Education and Development of natural resources. For 2016, the award was presented jointly to AkshayaPatra Foundation for its contribution in providing mid-day meals to millions of children across India and Sulabh International for its contribution in improving the condition of sanitation in India and emancipation of manual scavengers. EkalAbhiyan Trust was conferred the award for 2017 for its contribution in providing Education for Rural and Tribal Children in remote areas pan India, Rural Empowerment, Gender and Social Equality. For 2018, Japan’s YoheiSasakawa was given the prize for his contribution in Leprosy Eradication in India and across the world. Prime Minister NarendraModi on February 22, 2019 received the prestigious Seoul Peace Prize 2018 for his contribution to international cooperation and fostering global economic growth. The committee credited him for his efforts in promoting global peace and harmony through inclusive economic growth and improving quality of life. The 91st Academy Awards, popularly known as Oscar Awards, were conferred on February 24, 2019 (February 25 as per Indian time). ‘Bohemian Rhapsody’, nominated for five Oscars, won the most Oscars at the award show. It bagged Oscars for Best Sound Editing, Best Sound Mixing, Best Film Editing and Best Actor. It is a biographical film about British rock band Queen’s lead singer ‘Freddie Mercury’. 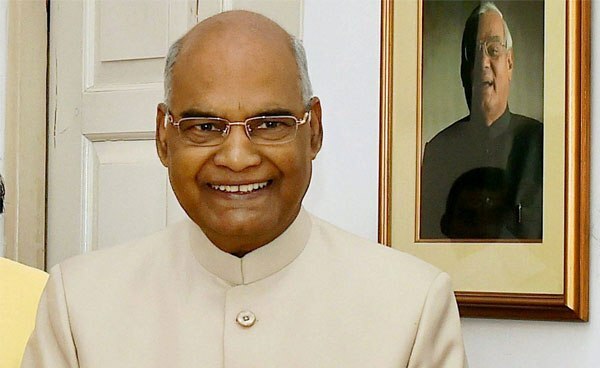 Indian President Ram NathKovind presented the Tagore Award for Cultural Harmony to RajkumarSinghajit Singh, Bangladesh cultural organisationChhayanaut and Ram SutarVanji for the years 2014, 2015 and 2016 respectively on February 18, 2019 at a function held in PravasiBhartiya Kendra, New Delhi. The President, Ram NathKovind conferred the prestigious SangeetNatakAkademi Awards for the year 2017 on February 6, 2019 at RashtrapatiBhawan during a special investiture ceremony. The General Council of the SangeetNatakAkademi selected 42 artists from the field of Music, Dance, Theatre, Puppetry and Overall contribution/scholarship in the Performing Arts for the SangeetNatakAkademi Awards 2017at its meeting in Imphal, Manipur that was held on June 8, 2018.These 42 artists include one joint award.